In February, I posted that the U.S. Department of Health and Human Services (www.hhs.gov)(HHS) had signaled its intent to delay implementation of International Classification of Diseases, 10th Edition(www.cms.gov) (ICD-10), which was scheduled to happen on Oct. 1, 2013. Now HHS made it almost official. HHS Secretary Kathleen Sebelius(www.hhs.gov) announced a proposed rule(links.govdelivery.com) that would delay the compliance date for ICD-10 from Oct. 1, 2013 to Oct. 1, 2014. The proposed rule is subject to a 30-day comment period before HHS finalizes it and makes the proposed delay completely official. As Cindy Hughes has noted in her most recent article in Family Practice Management, "While the delay may give you more time to prepare, it most certainly does not mean that you can postpone this work; it just means that if you start now, you might actually be ready by the new deadline." 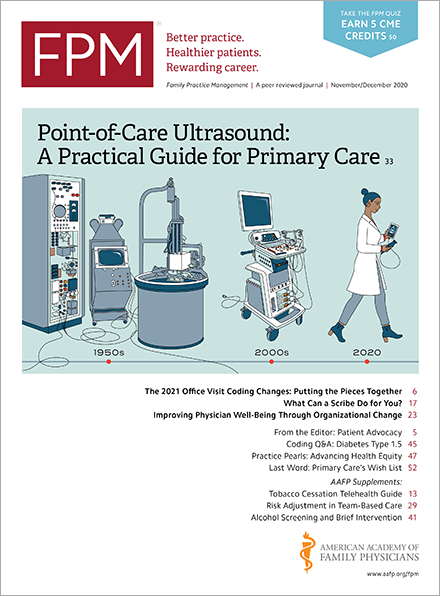 Cindy's article provides some great information in this regard, and you can find more information and resources on the American Academy of Family Physicians website. So, HHS has provided the gift of another 365 days to prepare for implementation of ICD-10. Physicians and others would do wisely to use this gift to their advantage in getting ready. It seems unlikely that HHS will be this generous again in advance of the new deadline.